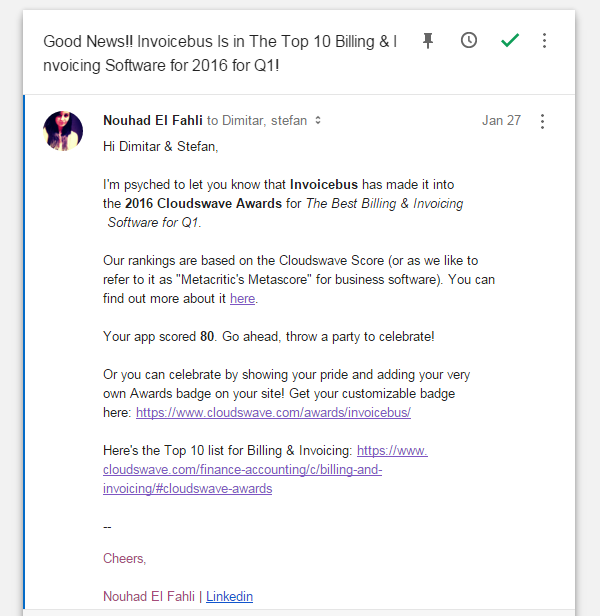 We are deeply humbled and honored to be selected as one of the top 10 billing & invoicing software for the first quarter of 2016 by Cloudswave. 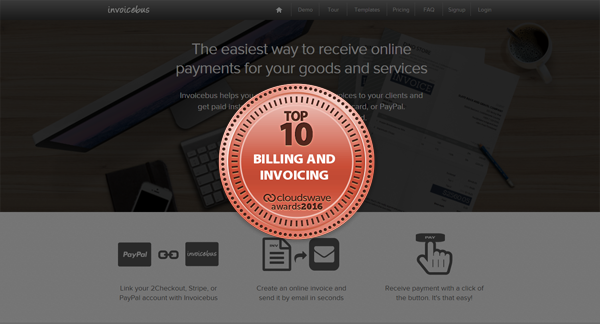 The Cloudswave Awards is a seasonal ranking of the Top 10 business applications across several categories. They rank the software based on the cloudswave score, which they refer to as “Metacritic’s Metascore” for business software. This actually is the weighted average score that captures the essence of multiple independent critic reviews into one number. We should admit we were a bit stunned when we learned about this. Without false modesty, we feel that we owe this award to our exceptional customers who constantly help us improve Invoicebus. Also, we want to express our gratitude to the entire Cloudswave team. Thank you!